Gorgeous View from the Balcony! 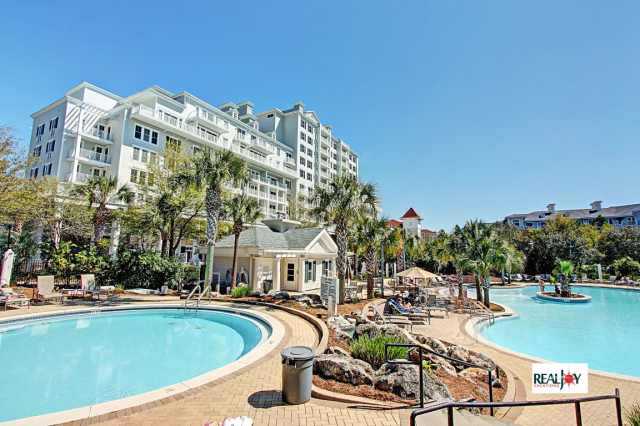 Check out this coastal condo! New Decor! Amazing views from BeachFront Balcony! 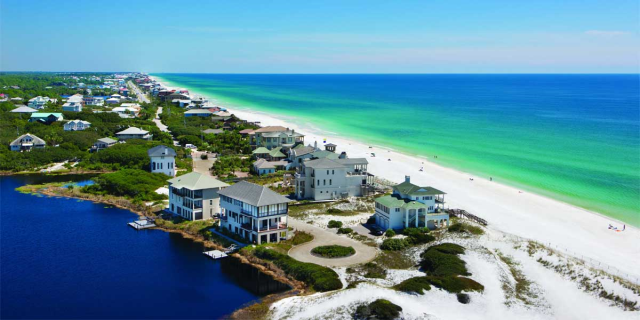 Heart of Destin just 3 miles from Destin Commons! Across from The Track & Walking distance to The Back Porch restaurant! Location and stunning views, anyone? 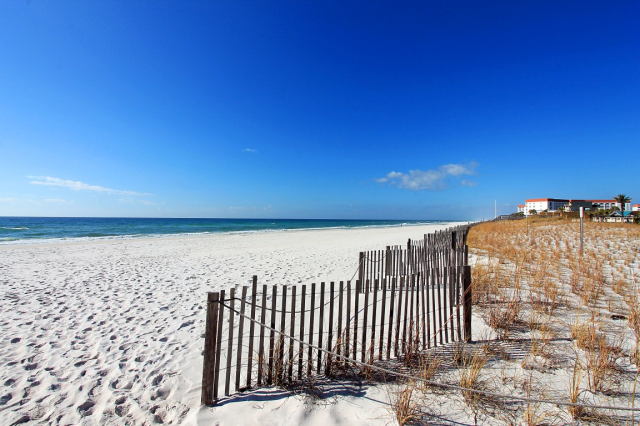 Experience the heart of Destin in this lovely, gulf front 2 bedroom, 2 bath condo that sleeps 8 and was fully remodeled March of 2017! The master suite has a king, flat screen TV, and balcony access; the guest bedroom has a twin and twin over full bunk bed (sleeps 4) plus a sleeper sofa in the living room. 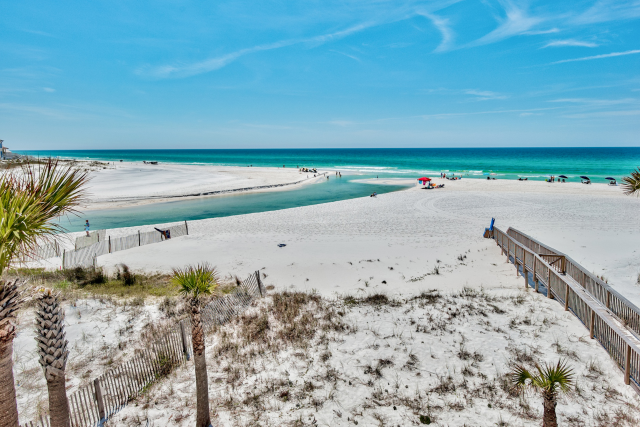 There's a gulf front pool, hot tub,fitness room, gas grilling area, onsite kayak/boogie board rental and laundry in the condo. Location and stunning views, anyone? 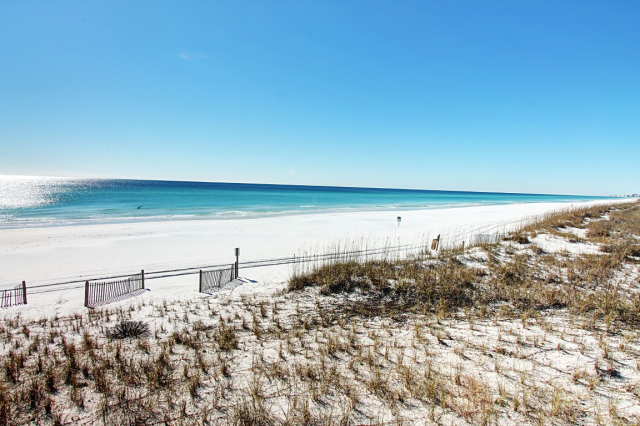 Experience the heart of Destin in this lovely vacation rental complex. 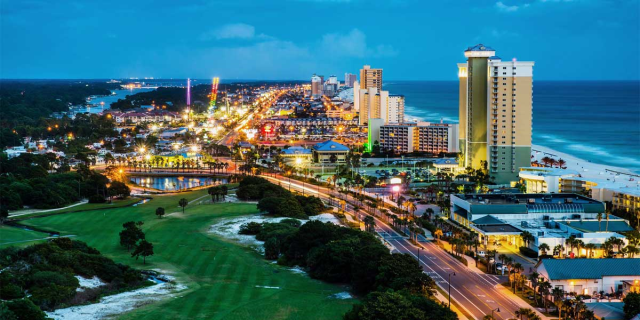 Sterling Sands is located across the street from The Tracks Family Recreation Center, with mini-golf and go-kart racing, and less than 1 mile from Kelly Plantation Golf Club, as well as numerous dining options. 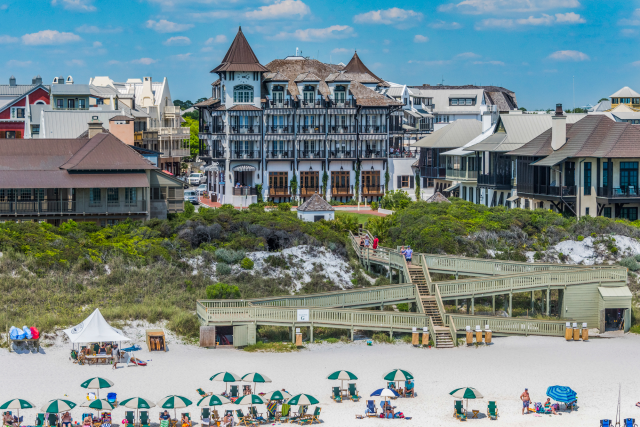 Sterling Sands is situated right in Destin's sweet spot. 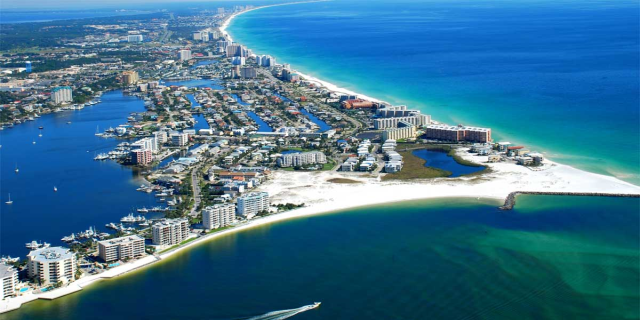 There's a Gulf-front pool, hot tub, fitness room, gas grilling area and onsite kayak/boogie board rental.